Surprise! The CRF450RX Is Coming To Australia After All! The 2017 CRF450R; When And How Much? 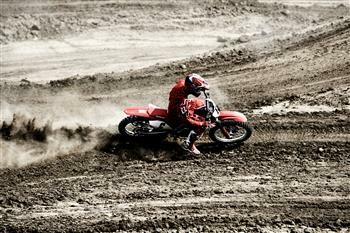 30 May 2012 - Honda is proud to announce the 2013 CRF450R which, thanks to help from AMA Supercross champion, Jeremy McGrath, is sure to take competition to new heights. 16 September 2011 - Honda's motocross champion is even better for 2012 with revised suspension and improved rigidity defining the new CRF450R due for release early October. Honda will release the 2011 CRF450R in late November. V8 Supercar Champion Rick Kelly continues his long association with Honda Australia in 2010 having recently taken possession of a new CRF450R to use for training in between rounds. The Honda CRF450R continues to dominate in off road racing disciplines such as Supercross, motocross, desert, and endurance racing due to its light weight and effortless manoeuvrability. 8 September 2008 - The time has come to announce what's in store for Honda's mad motocross fans with the all new 2009 CRF450R.